Murder, not to be glib, has become the narrative engine that powers half the shows on television, in which killings are a routine and regularly solved aspect of procedural life. On everything from “Bones” to “Unforgettable,” cops and the various types (psychics, doctors, cannibals, etc) with which they’re often paired dutifully go in search of killers each week, providing law, order and closure in hourlong increments. We’re accustomed to dead bodies serving mainly as a signal for the start of a story about other characters, about the untangling of the latest mystery. Not on “Broadchurch.” Created and written by Chris Chibnall, the haunting eight-part series, which premieres on BBC America tomorrow, August 7th, at 10pm after airing in the UK in March and April, is focused on the case of a 11-year-old murder victim named Danny Latimer (Oskar McNamara), but never loses sight of the feelings of loss and anguish resulting from the death. 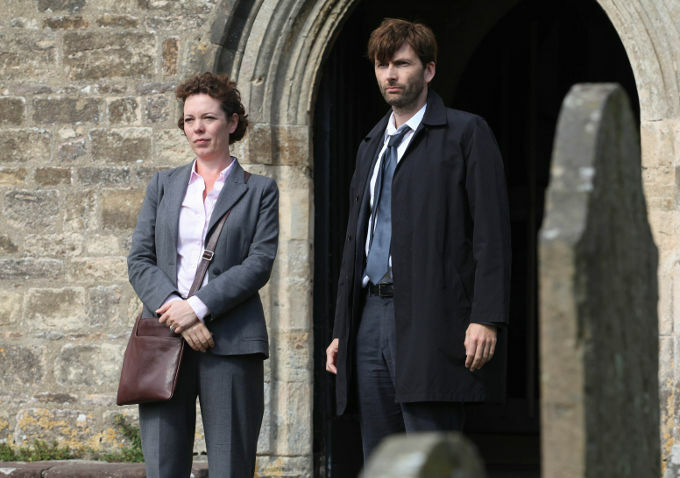 Danny is gone before the story begins, but even as a pair of detectives — Alec Hardy (David Tennant) and Ellie Miller (Olivia Colman) — attempt to identify the culprit behind his killing, the series keeps in view the distress felt by the kid’s family and the trauma to the community as a whole. The fictional town of the title, a coastal village of about 15,000, hasn’t seen a murder in recent memory or possibly ever, and what makes “Broadchurch” so very good is that it’s as much a drama as it is a crime story, delving with care and humanity into the ways in which people mourn and process shock. The closeness of that community, perched alongside some spectacular cliffs on England’s Jurassic Coast, is an essential element to the unraveling of the mystery — the murderer is bound to be someone everyone knows, and there’s a growing apprehension that accompanies every piece of evidence that turns suspicion to someone new, from the shop owner whose unmarried status suddenly seems suspicious to the kid whose behavior indicates he’s covering up a secret. No matter who’s caught, things will never be the same in the town, as the scrutiny of the police and the media brings other secrets to light and stresses relationships to the breaking point. This trepidation is embodied in Miller, who is from Broadchurch and lives there, and struggles to separate what she thinks she knows about her friends and neighbors with the ability to look at them as viable suspects as pressure mounts. Her odd coupling with Hardy is one of small-time local and experienced transplant, but it’s also one of someone intensely aware of how the case is affecting her home town versus someone driven foremost by the desire to find the killer and make up for a past mistake. 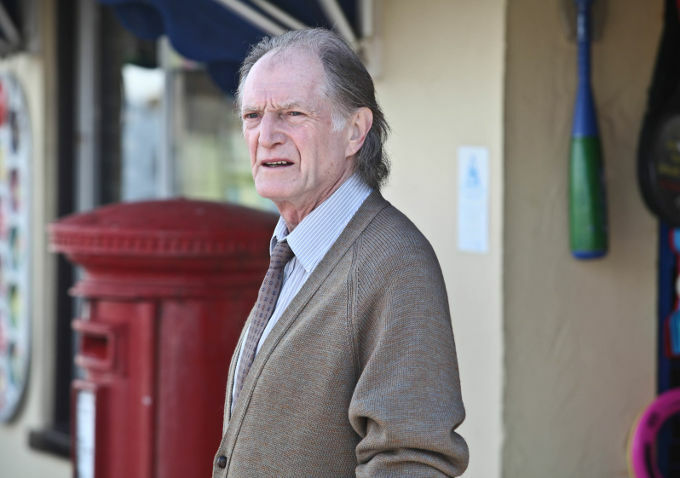 Entangled with their investigation are ones about the local paper, a troubled marriage, family histories and the church, all of which are impacted by Danny’s death. “Broadchurch” doesn’t break the mold for British mysteries — it has, perhaps, one too many dark pasts to bring to the light, and as likable as Tennant is, Hardy is of a rather disappointingly familiar breed of brusque, smart officer with a disastrous personal life. But it is both sensitive and remarkably well made, not to mention wonderfully shot by cinematographer Matt Gray, who seems to make the oceanside backdrop only more beautiful as the characters in front of it fall apart. 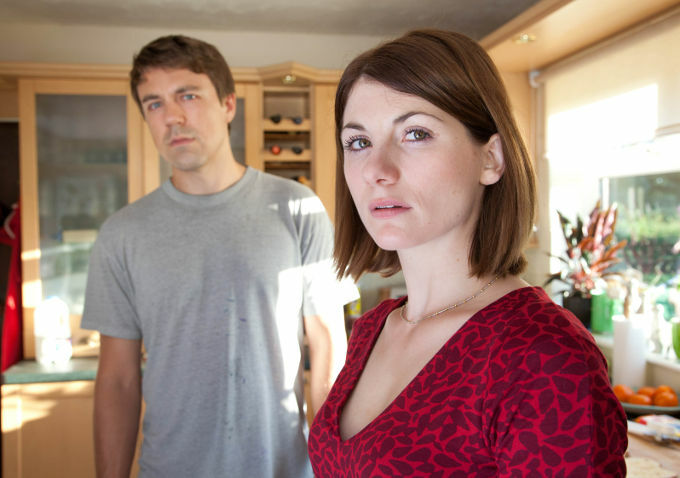 And Colman and Jodie Whittaker, who plays Danny’s young mother Beth, together anchor the series with two raw performances that conjure up maternal grief, pained friendship and professional determination, as Miller investigates the death of the boy who was her son’s best friend and Beth battles with whether or not to trust the police as the case drags on. “Broadchurch” succeeds in doing what “The Killing” attempted in its first two seasons but drifted away from — to be about the outcome of a crime rather than just about the solving of one. As suspenseful as the whodunit aspect of the story is, it’s a testament to the writing and acting of “Broadchurch” that what builds as the series makes its way toward its final reveal is not anticipation but dread — we feel for these characters, and the thought that the culprit could be one of them is more the stuff of tragedy than justice.